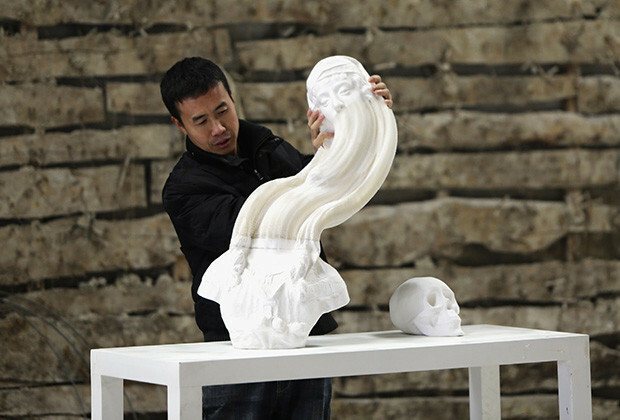 Chinese sculptor Li Hongbo makes sculpture some unique sculptures. Born and raised by a simple farming family, at a young age Li found himself attached to paper. He discovered the flexible nature of paper from Chinese paper toys and lanterns. At first, I thought these were just the usual stone sculptures, but my perspective suddenly changed once he stretchered it up, pulled and twisted. Li uses stencil to paste and glue narrow strips across large pieces of paper, he then sticks together to form blocks of 500. He stacks the blocks to the desired height. An average bust is over ten blocks or 5,000 sheets of paper high, then he cuts, chisels and sands the large block just as if it were a piece of soft stone. Find out more of his amazing paper sculptures in his website page and you can also follow him on Facebook. Were you inspired or got any lovely suggestions for us? Let us know through the comments box below. You can also hit us up on our Facebook, Twitter and Google+ profiles. Lastly, our RSS Feeds is open for subscription so that you can stay up to date on the latest design trends and art inspiration.